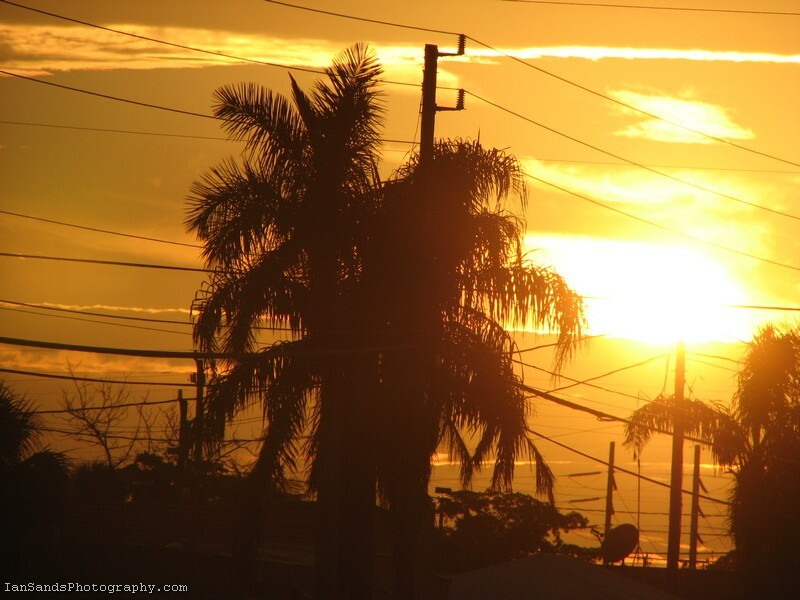 Orange sunset with palm tree through the power lines. I took this photo in Lakeworth near West Palm Beach from the sidewalk of a busy street. A beautiful sunset over a busy street with lots of traffic. I took quite a few photos that afternoon, most had traffic in them but the sky colors produced by the sunset still make them nice pictures. It’s amazing that the same sun is available to every person in the world.